What wonderful champions and supporters White Ribbon has! A huge thank you to everyone who has kindly sent their photos to us. 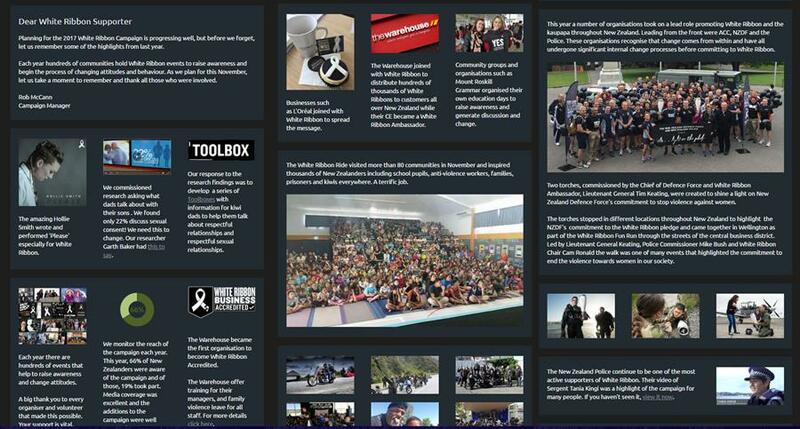 It is so lovely to see what you have been up to and how you have been spreading awareness of the White Ribbon campaign throughout New Zealand. Keep sending us your photos! Congratulations to Hugh Gully, Principal of Nelson Intermediate School for this amazing photo. I’m sure you will agree, it's a great image which captures our new generation of men and women along with our White Ribbon Riders. Hugh, your $50 supermarket voucher is on its way. What have you done to help tackle our high statistics of men’s violence towards women? It can be easier to do this than you first think. It could be that you speak to your children about how to build and maintain respectful relationships with others. You could wear a White Ribbon every day and get chatting to a friend or stranger and explain what it stands for. Alternatively, you could volunteer a small amount of your time to help build a community of supporters in your town, or suggest to a friend that they take a look at our men’s toolboxes on our website. Your action might be to take The Pledge or even nominate an Ambassador. These are all ways to raise awareness in our community and to initiate a conversation about an issue that can be uncomfortable to talk about. Many of you do some of these already, and we are grateful for your continued support and commitment. There are lots of ways to support White Ribbon and we need your help to spread our campaign message. As we move closer to November, our public profile will increase, and many exciting events will start taking place across New Zealand. But don’t wait until then – do something today. Empowering fathers (and other male influencers) to develop their son’s (young boys/men’s) respectful behaviour through the use of on-line toolboxes. 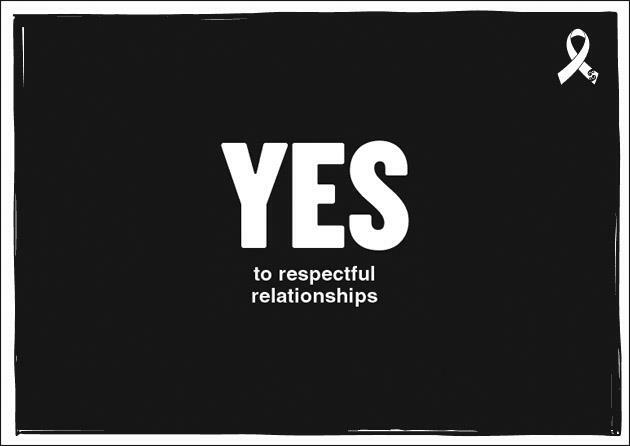 To make this happen, we will be hosting workshops with a prominent White Ribbon co-founder, Michael Kaufman and producing a short film that will increase awareness and encourage discussions about 'respectful relationships' and creating a range of resouces to help ensure men (and all caregivers) have the confidence to talk about 'respectful relationships' and 'respectful sexual relationships' with their sons (and all children). The 2017 White Ribbon Ride preparation is underway with revised routes in both the North and South Islands. We aim to further empower communities to come together and support each other to promote the campaign. These communities will see volunteers, Ambassadors and community groups working as a united front to help increase our year-long presence. We also aim to increase the number of workplace accreditations for NZ businesses. This is an important step in enabling businesses and organisations to effectively integrate violence prevention into their business practices and talk to their customers. We have been inundated with requests for the Riders to visit communities throughout New Zealand, and we are now developing the Ride schedules. To avoid disappointment, please complete and return your Registration of Interest forms as soon as possible. Each year we aim to make the routes slightly different so that we can reach as many communities as possible. This year the South Island Ride will start in Nelson, head over to Westport and across Arthur’s Pass into Timaru. From here the riders will head down through Otago and into Invercargill, up through Dunedin, stopping off in Oamaru before finishing in Christchurch. The Hauraki Region Ride starts in the Coromandel travelling down through the Waikato region into Taupo. From here, the Riders will continue down to Napier and round to Hawke’s Bay and Gisborne, before reaching the Bay of Plenty and completing their ride in Rotorua. The Lower North Island leg of the Ride starts this year in Ohakune and heads up Te Kuiti before travelling down to the Taranaki region. Whanganui is the next destination from here, before moving down along the Kāpiti Coast visiting many communities on the way. The Wairarapa is visited, followed by Porirua and then the Hutt. 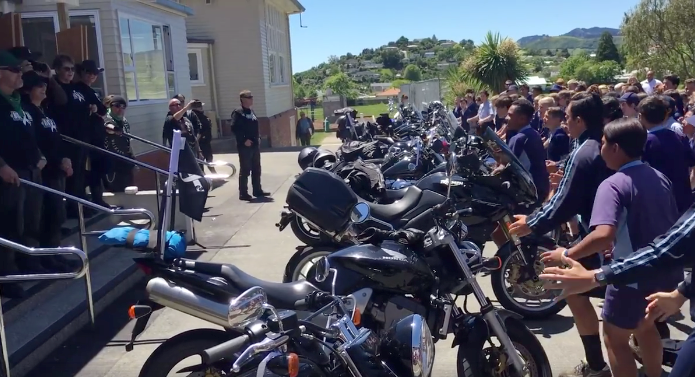 This year there will also be an Auckland Ride travelling to some of the larger events in the city and to a range of schools in the Auckland region. We are honoured to have such a committed team of Ambassadors working with White Ribbon to deliver our campaign message. We have over 100 talented individuals who lead and actively support the kaupapa. These Ambassadors play a vital role in building support, visibility and developing a shared understanding of the campaign within their social groups, workplaces and communities. Lua has worked on a range of violence prevention initiatives and programmes over a 10-year period. He has been involved with White Ribbon NZ since it started in 2004. Lua feels he is able to relate to men, both young and old, and wants to help them develop healthy relationships with women. He is a strong role model in his community and already viewed as a champion within his networks. 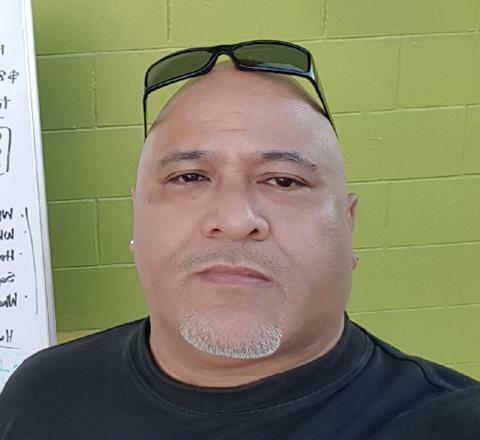 Lua is actively involved in the promotion of White Ribbon events in his local area, and is enthusiastic about promoting the positive messages that align with our campaign. Calling all you wonderful volunteers out there. We are currently setting up a new system that will join like-minded people together. We know there are lots of you out there already, but you’re probably not aware of each other. There is strength in numbers and to help join you together, we are looking for Lead Volunteers in key geographical areas throughout New Zealand. An email has already been sent out to people who have previously offered their help, but we appreciate that circumstances and contact details change. If you haven’t received an email or would like to provide us with an update, click on the button below. Even if you are unable to offer yourself as a volunteer, do you know someone else that could be one? Check with them first and if they are happy to be contacted, please get in touch with us at contact@whiteribbon.org.nz. Want to get more bang for your buck? This is a perfect way to get more value for your money. You might not be aware that White Ribbon raises funds through our supporters purchasing Entertainment Membership. This is a guide to the most popular restaurants, attractions, shopping, travel and more, all with valuable offers such as 50% off and 2-for-1 deals. If you haven’t got your 2017/2018 membership already, click on the button below to find out more. 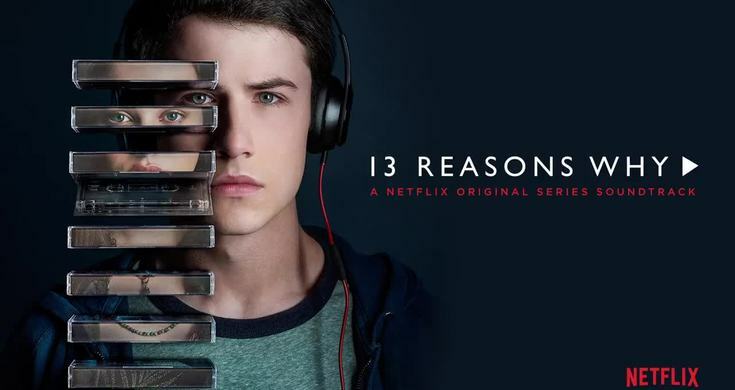 “Welcome to your Tape” is a discussion with Sarah Pitcher and Kenny Ardouin originally broadcast on Christchurch’s Plains FM that looked at many of the issues that occur in the Netflix series 13 Reasons Why. The discussion centred on many issues, a number of which are very relevant to the White Ribbon Campaign including the concept of male entitlement, consent, respect, speaking out, as well as offering strategies for the people who victims of abuse turn to in their hour of need. Ambassador Awen Guttengbeil and his team won Family Feud and donated their winnings to White Ribbon. 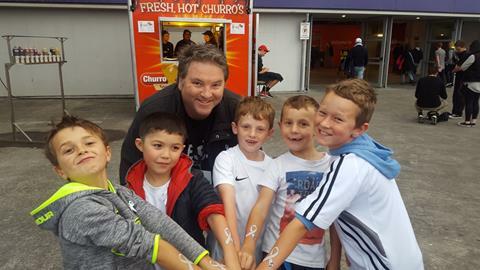 Campaign Manager Rob McCann and some of the many children who were tattooed with our temporary tattoos. 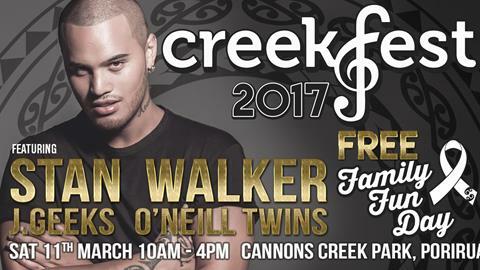 Creekfest saw White Ribbon Ambassador Stan Walker wowing fans while volunteers staffed the White Ribbon stalls. 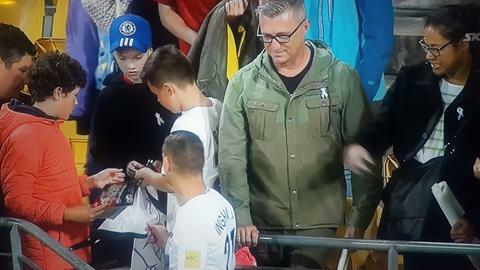 All White fans wore the white ribbons that New Zealand Defence Force staff and volunteers handed out before the game. 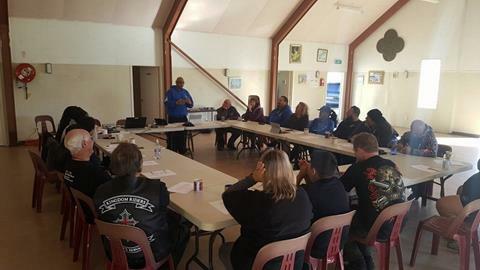 A White Ribbon Riders Hui to plan for 2017 and beyond was held in Wellington and included a school visit. 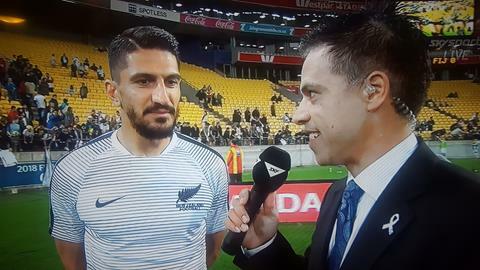 Ambassador Harry Ngata interviewing All White Deklan Wynne following the successful win in Wellington. Click on the graphic to view the previous newsletter.